That was the refrain I heard every day when I was in Texas with a group of Iowans last week, during flood relief after Hurricane Harvey. When we arrived, it had been three weeks since the storm ravaged the Houston metro and it’s over 2 million people, meaning that everyone was exhausted and in desperate need of a morale boost. 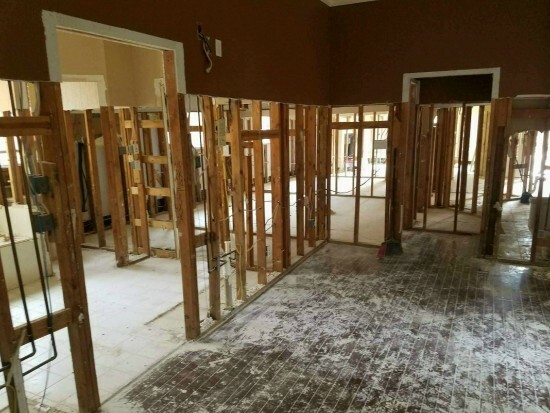 It’s the same story at virtually every home in Houston as the walls, insulation, sinks, countertops –- everything down to the studs — has to be removed and thrown out on the curb. Once the home has been demo’d that far, it then has to be sprayed down three times with a bleach/water mix before it can be certified as ‘mold free’ and reconstruction can begin. 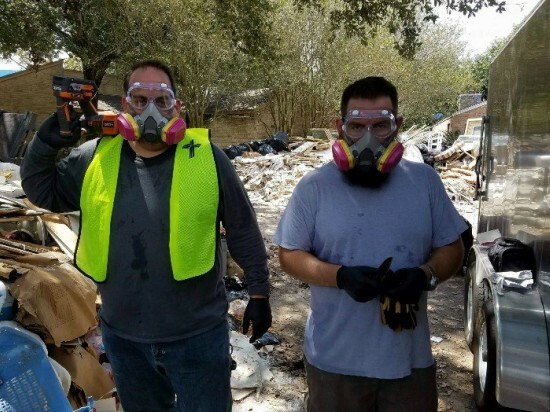 The work was extremely tedious, made worse by the incredible heat and humidity of South Texas, and exacerbated by the fact that everyone was required to wear a respirator because of the dangerous mold covering almost everything. Ironically, most people in the region don’t carry flood insurance and have to fund their home repairs out of their own pocket. 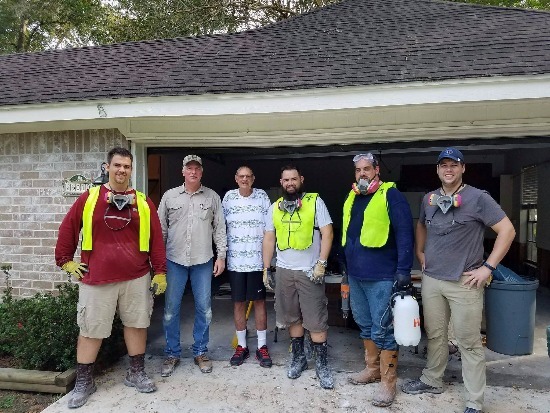 One of the people we were able to help, Mr. Fischer of Tomball, TX, said that he was quoted between $15,000 and $20,000 to have his home ‘demo’d’ -– something that we did for free in just two days with our crew. Everywhere you look, down every street, you see piles of debris from gutted homes 6 to 12 feet in the air! 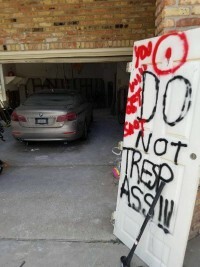 Often times, when traveling to a new address, we had to have someone out of the car on foot confirming addresses since the piles of rotten trash were blocking house numbers! The stories of human loss and suffering were as endless as they were heartbreaking. 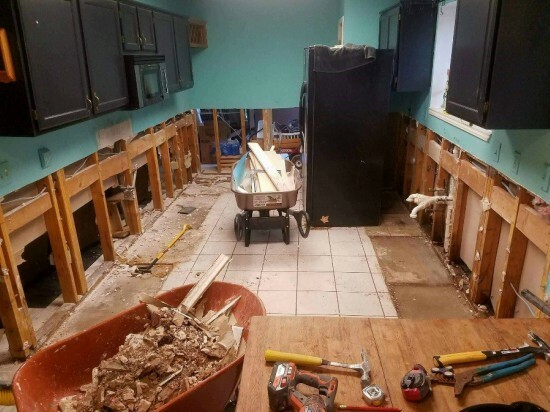 In one instance, we arrived at a home to demo the kitchen, and met the 60-year-old homeowner and her son and daughter-in-law, only to learn that the family was leaving upon our arrival to make burial arrangements for their 90-yr-old grandmother. In talking with the family we learned that while they were evacuated by a boat and taken to a nearby school, no one had a key for the facility. As they waited to get in the building, they did so in a hurricane force rain storm with only minimal clothing. The family said that their mother/grandmother contracted pneumonia as a result, and died after a two week stay in the hospital. As we got to work on their kitchen, the mother and son left to make arrangements with the funeral home. Looting was definitely an issue in certain parts of the city, although not to the extent that the news made it out to be. 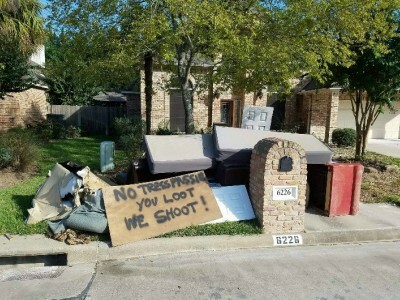 In one home we worked on, the homeowner and her neighbors had made makeshift “You Loot, We Shoot” signs out of whatever materials they could scrounge together –- after their homes were broken into multiple times. Clearly the Second Amendment is alive and well in Texas! And while some of the neighborhoods we worked in were very nice, many were not. 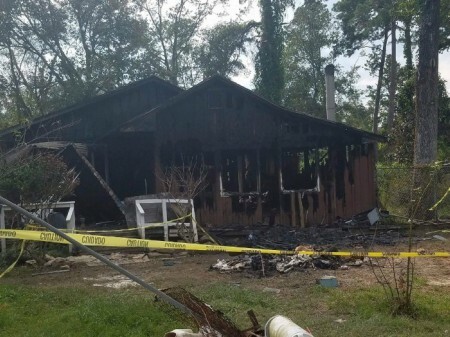 In one neighborhood in Patton Village, TX, the home we were working on was a block away from a home that had burned to the ground the night before in what many assumed was a case of insurance fraud. It wasn’t until we were headed back to Iowa that we learned that the home was torched in an attempt to cover a homicide — and the trash can that we had to swerve around as we entered the neighborhood contained the body of the victim! 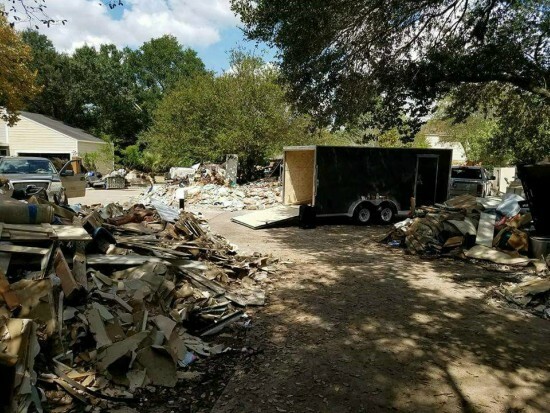 As tired and worn out as the people in Texas are, however, they are still generous and supremely appreciative of all of the help they are receiving from outside the state. One local restaurant, seeing our group work on the same house for two long days, came by with a lunch for everyone on the second day. Others came by with water and Gatorade, as overheating was a serious concern as the heat index was very close to 100 degrees. What was especially interesting to see down there, was how many other volunteers were on scene to lend a hand. We met people from Illinois, Nevada, California, Georgia, Minnesota, Ohio and Nebraska! And as thankful as the Texans were to receive our assistance, I’m that much more thankful to so many IGO members who were generous in helping to make this trip possible! Without your support to this personal project, we would have lacked needed equipment and had trouble even getting down there. Your support was extremely touching, especially since it had nothing to do with our shared fight for the Second Amendment here in Iowa. So again, thank you for your assistance! In light of the horrific news out of Las Vegas Monday, gun control activists will again try to use the victims of this tragedy to advance their agenda. We’ll have much more on that in the days and weeks to come! P.S. 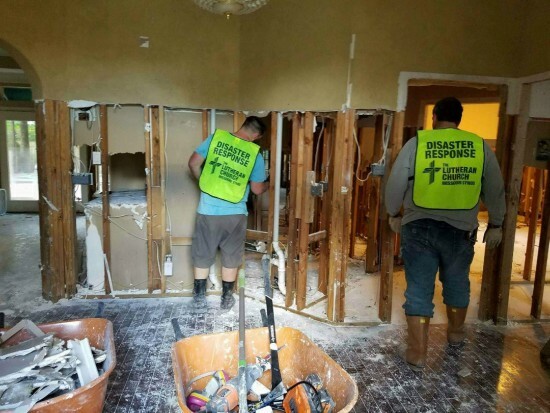 Thanks to the generosity of so many IGO donors, we were able to send a team of Iowans to help out with the relief efforts that are underway in South Texas! Thank you for making that a possibility! And get ready for a fight over our gun rights in the months ahead, as gun grabbers at the national and state level are already trying to use the events in Las Vegas to justify even more failed gun control. Major Fight Coming Over Constitutional Carry! We’re Giving Away Six Glocks!